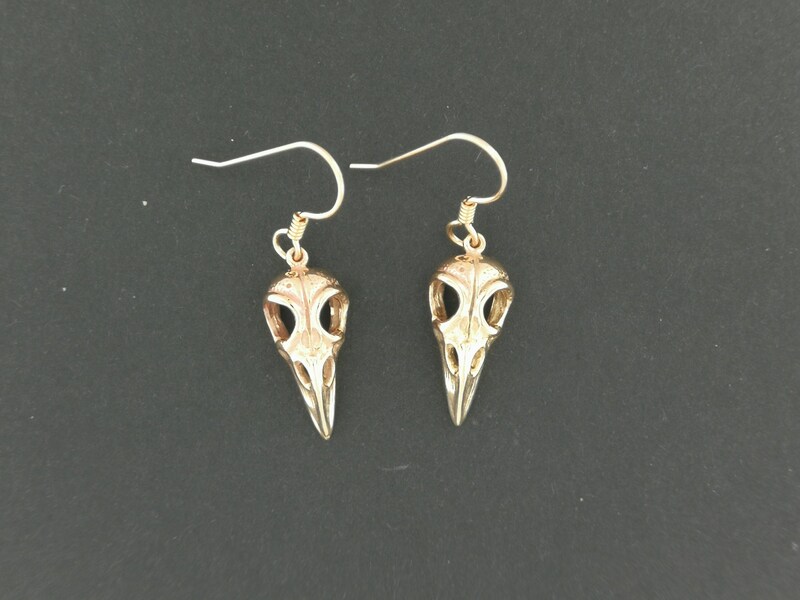 These are a pair of handmade antique bronze raven skull earrings I recently started making. 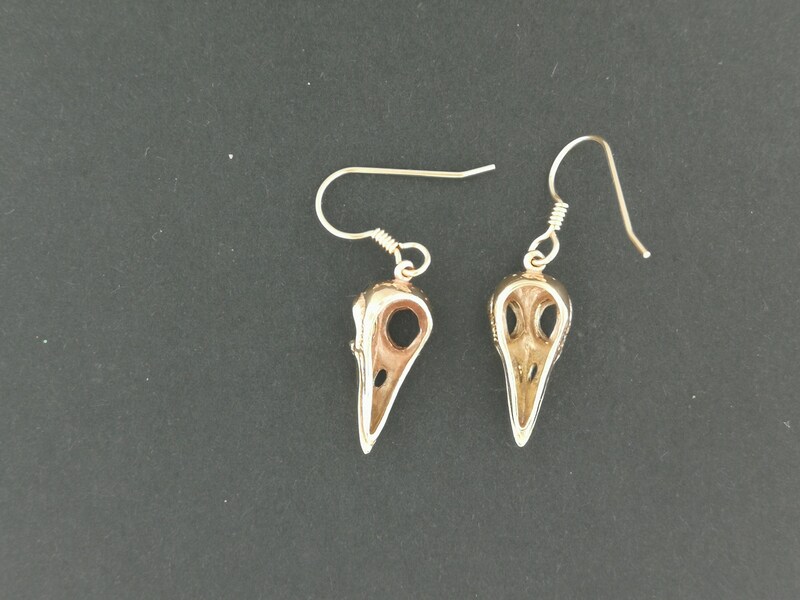 These raven skull charms are 2.2cm long and 1cm wide and the these and the ear wire are made in solid bronze. The charms are hollowed out in the back, making them light enough for every day wear. I can also make these in sterling silver & gold, so contact me for an estimate for the costs. I also will eventually have these as charm pendants available in my shop. Many references to ravens exist in world lore and literature. Most depictions allude to the appearance and behaviour of the wide-ranging common raven. Because of its black plumage, croaking call and diet of carrion, the raven is often associated with loss and ill omen. Yet its symbolism is complex. As a talking bird, the raven also represents prophecy and insight. Ravens in stories often act as psychopomps, connecting the material world with the world of spirits.